"Reduces all of one enemy's status by 30%, and reduces their combo chance." "Reduces physical damage received by 15%." Evolves from Etemon, Tonosama Gekomon, or Pandamon. Cannot evolve further. When the Skill says "all," it's referring to Attack, Defense, Intelligence, and Speed. 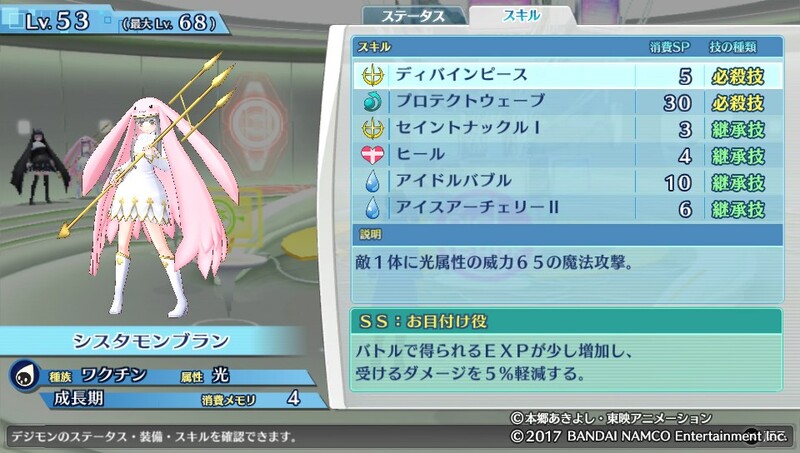 Agility, Accuracy, and Critical are unaffected by the Skill. 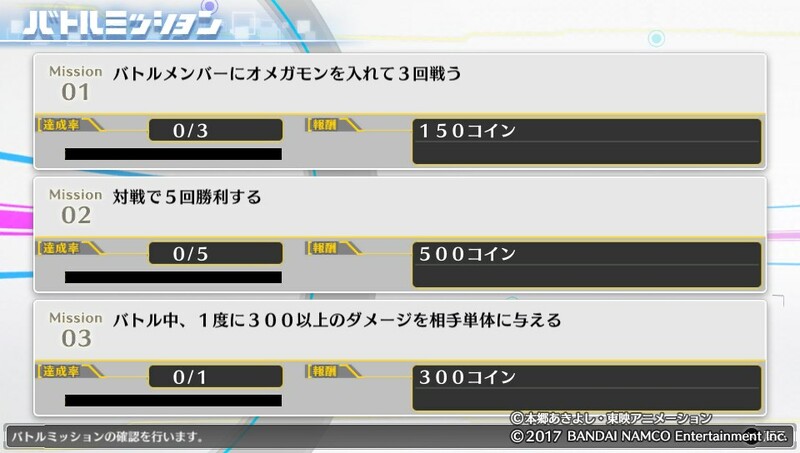 Sarushibai (さるしばい or 猿芝居) is a Japanese idiom referring to over-acting in the theater, or otherwise clumsy attempts at deception. (Compare the English term "ham" when referring to an actor.) 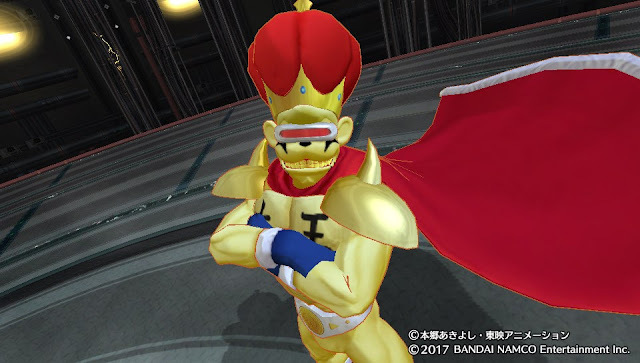 "Monkey Business" is an American-English idiom referring to shenanigans or some foolish activity. In this case, the two terms intersect nicely as the most important part is the "monkey" portion. "130 Fire-attribute physical damage to 1 enemy." 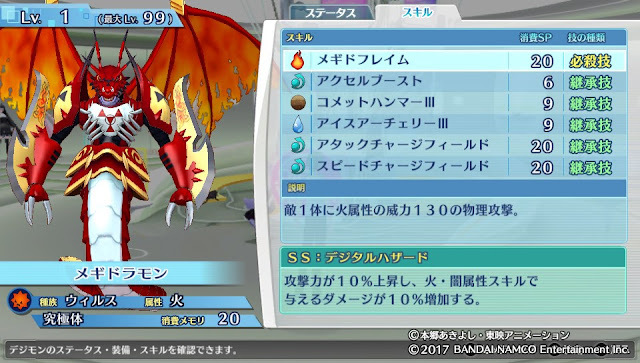 "Attack increases by 10%, and damage from Fire- and Dark-attribute Skills increases by 10%." 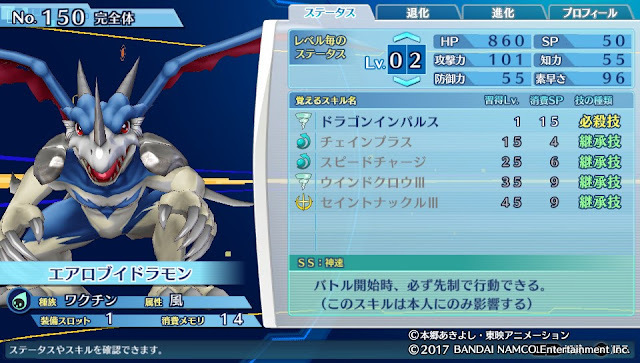 Evolves from Groundramon, Megadramon, Megalo Growlmon, or Gigadramon. Cannot evolve further. 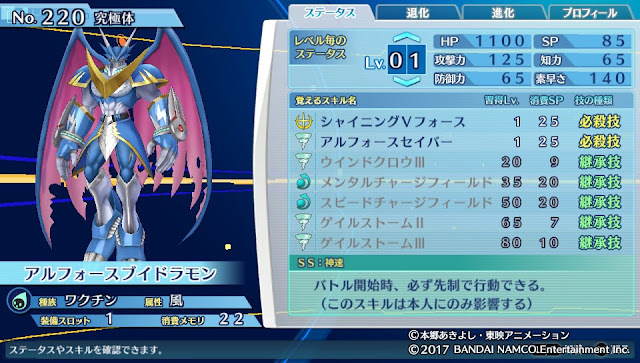 Overall Megidramon's HP is within the top 10 and its Attack within the top 15, while its Speed is in the same bracket as Aero V-dramon. 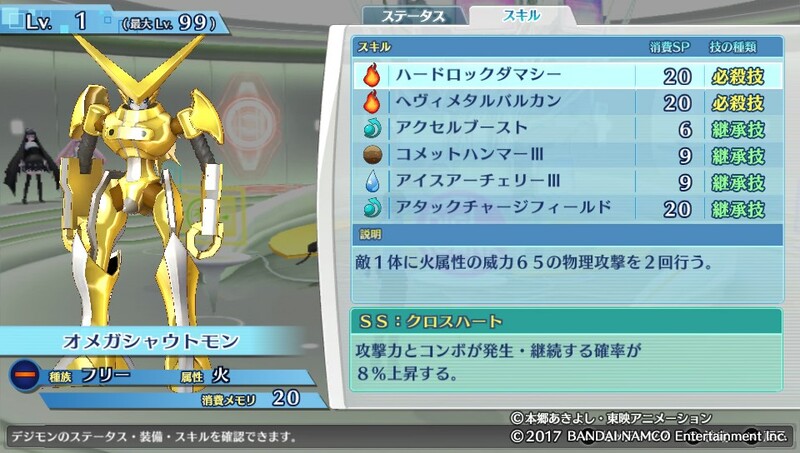 Its Intelligence and Defense are both below-average for a fully evolved Digimon. 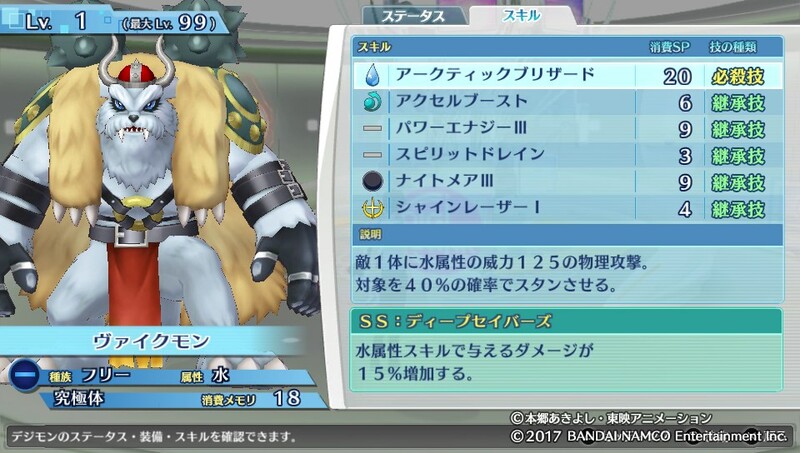 Arctic Blizzard's probability of inflicting Stun raised from 25% to 40%. 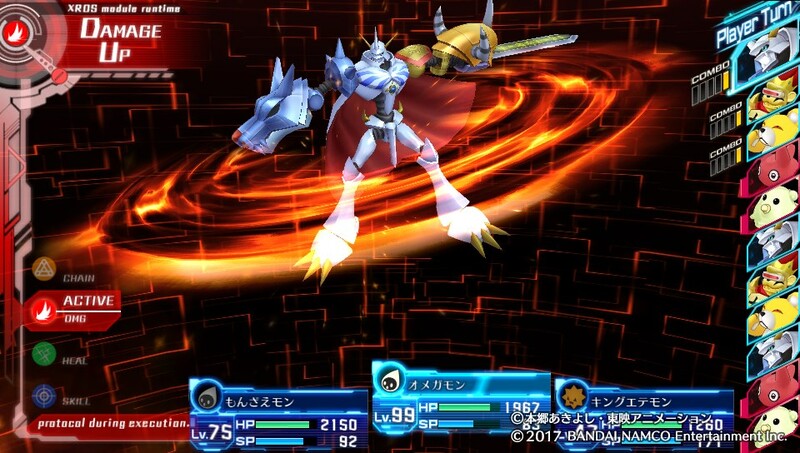 Lovely Attack has been completely overhauled. 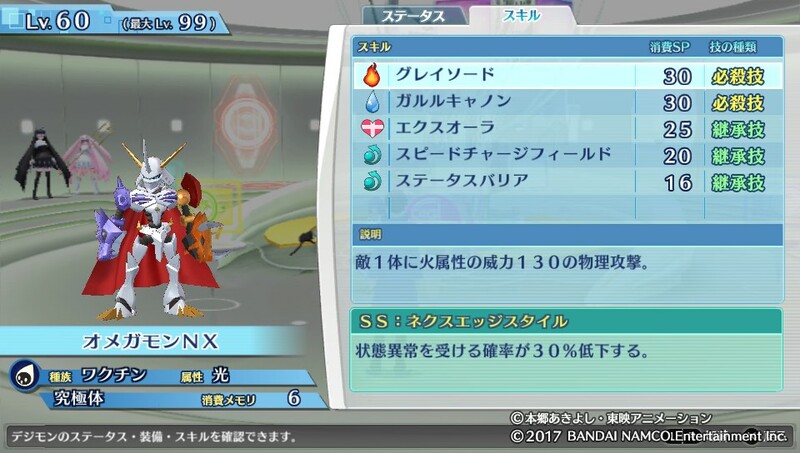 Element changed from Physical-Neutral to Recovery. SP cost reduced from 30 to 20. Originally, Lovely Attack dealt Intelligence-penetrating Neutral damage equal to Monzaemon's Intelligence with a 20% chance of inflicting Confusion. Now Lovely Attack restores one ally's HP (seemingly by 50% of max) and raises their Attack, Defense, and Intelligence by 15%. 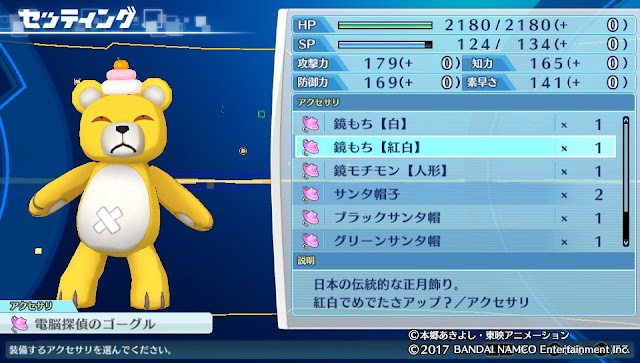 Digimon Story Cyber Sleuth: Hacker's Memory launched in Japan December 14th, and a look at its updated Field Guide confirms the longstanding bane of Cyber Sleuth's ranked multiplayer has taken a devastating blow. 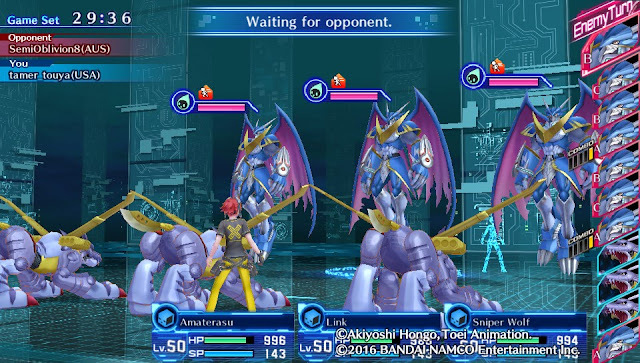 Ulforce and Aero V-dramon have been staples of the competitive scene since its most formative days, as well as keystones in gamebreaking strategies that once robbed even the final boss of the chance to attack. 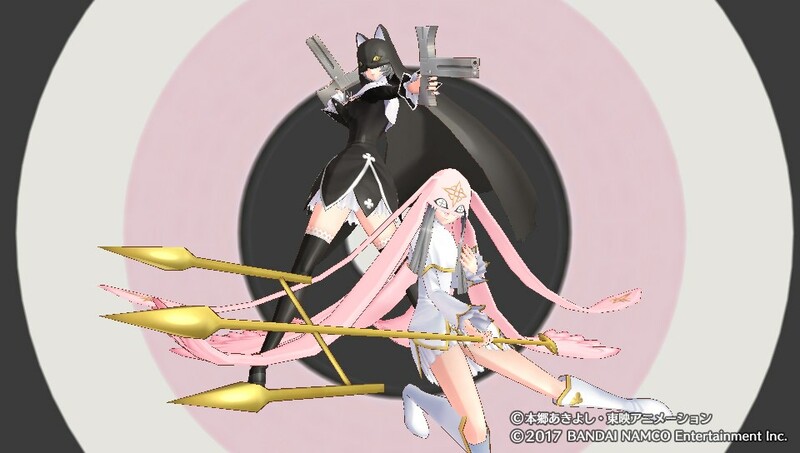 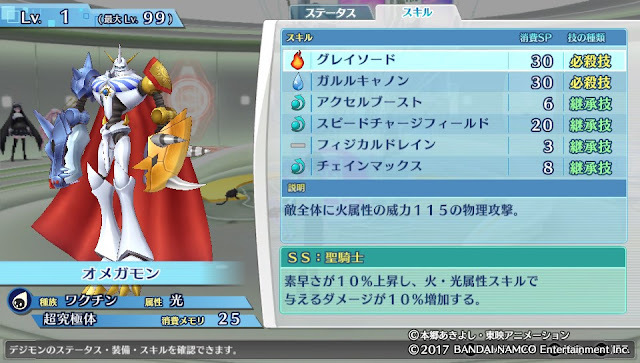 Their shared Support Skill, known as Godspeed (神速 Shinsoku) in Japanese and Swiftness in English, originally caused the user's party to always move first in battle by inserting an extra turn into the timeline for each party member--even when they would have already moved first to begin with. This Support Skill was also stackable, so that a party of three Ulforce or Aero V-dramons would get 9 consecutive turns at the start of battle, and those turns were transferable to any Digimon switched in. Hacker's Memory adds a single clause to Swiftness; "(This skill only affects the user.)" Although it can still be stacked by running multiple V-dramons, this one line of text reduces Swiftness to a parlor trick. 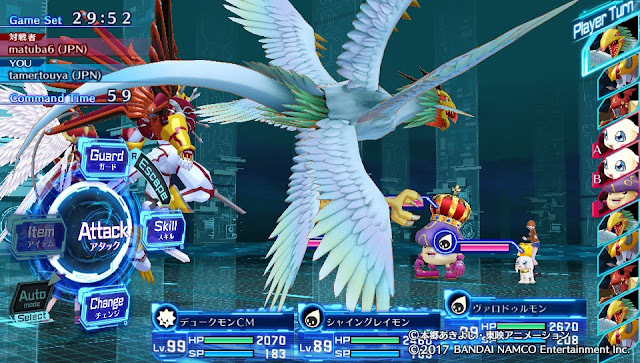 Even if the turns were still transferable, after using up one turn to switch in a tamer's actual battle party they would only have 2 extra turns before normal speed rules begin to apply to the timeline--making it no longer worth investing in the 60~66 Memory to open with a lineup of three Swiftness Digimon. 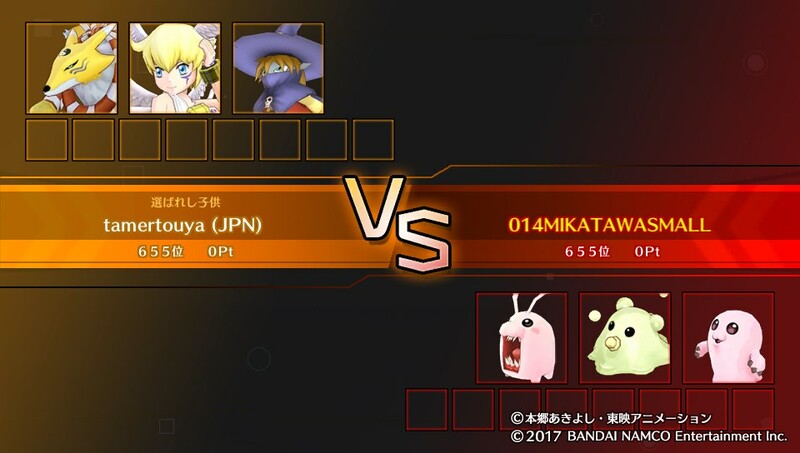 There isn't much Ulforce can do on his own with just one extra turn. Tamers can still get in a quick Safety Guard, Status Barrier, or Chain Max, but battles are no longer going to be decided by which side wins the coin flip to have their Swiftness proc first. 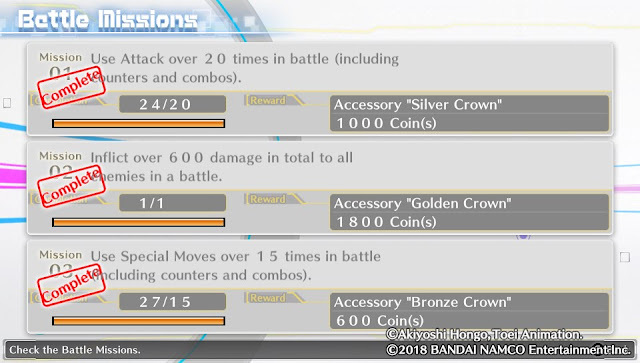 "Makes sure you always move first in battle. 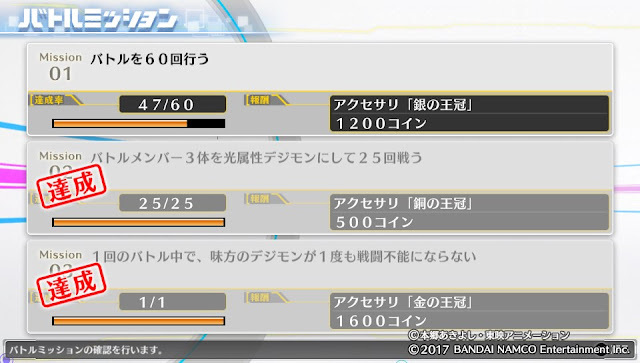 (This skill only affects the user.)" 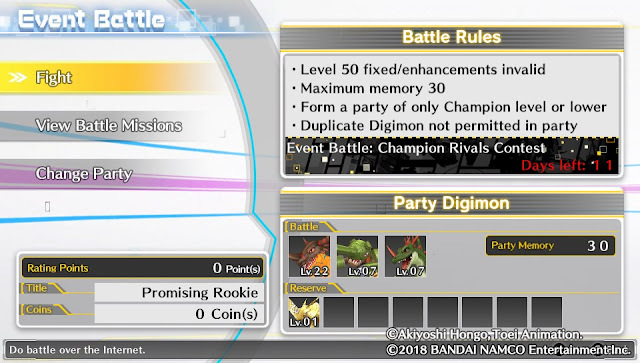 This change affects both Ulforce and Aero V-dramon, and what place they will have in the new metagame is uncertain. 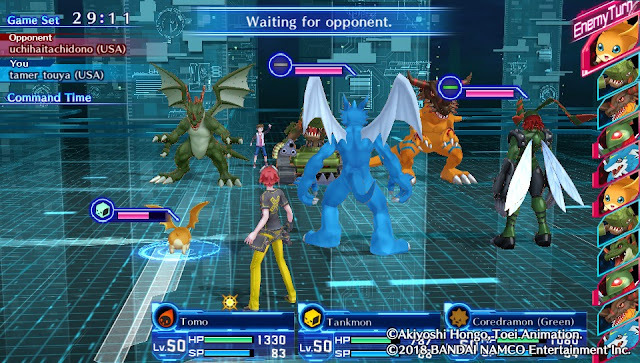 Many tamers still have yet to finish the game's main scenario, and much of the roster remains untested. 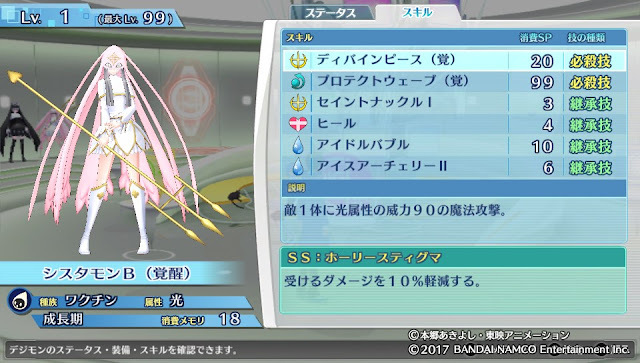 Other changes to the game's abilities are still being compiled, but include modifications to the base accuracy and power of many inheritable Skills, additional item slots on certain Digimon, and the replacement of some Special Skills. For example, Monzaemon's Lovely Attack retains its animation and original name but has been changed from a Neutral-attribute Piercing attack to a unique healing move with secondary buff effects. In another case, Metal Garurumon had their always-accurate Garuru Tomahawk replaced by Cocytus Breath, which instead has a 25% chance to paralyze the target. Metal Garurumon (Black) retains the original Garuru Tomahawk, further differentiating the two Garurumon variations from one another. Expect daily updates from hereon out. 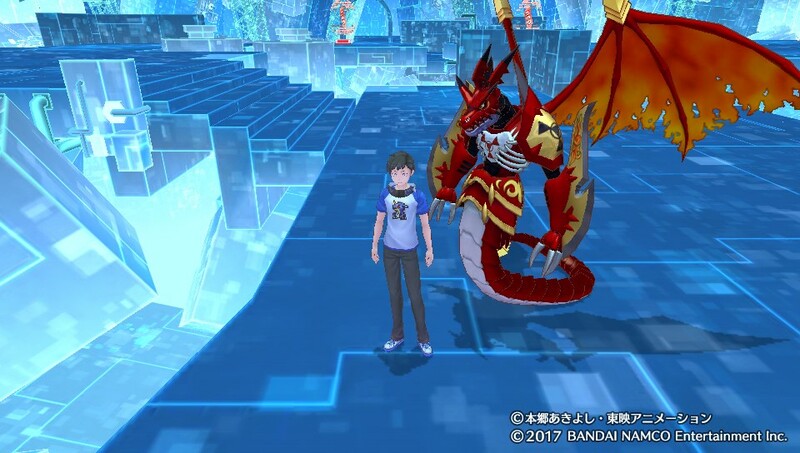 Digimon Story Cyber Sleuth: Hacker's Memory will launch worldwide for PlayStation Vita (digital) and PlayStation 4 (physical and digital) on January 19, 2018. 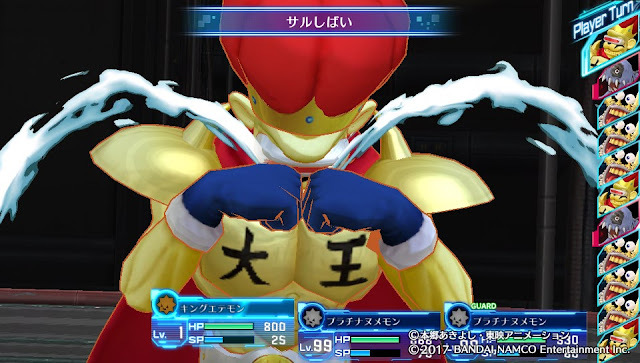 The game is a sequel to the 2015 Cyber Sleuth, taking place "beneath" the events of the original game. 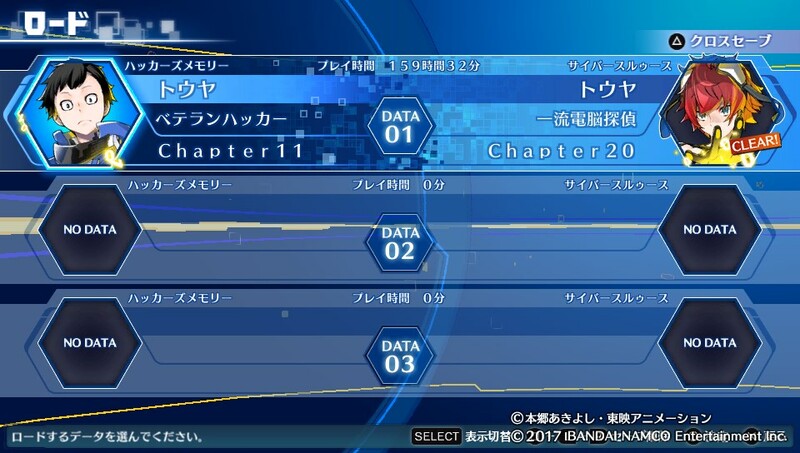 The player visits areas of the EDEN virtual network not explored in the original title, trying to clear themselves of wrongdoing after being framed by hackers for a crime they didn't commit. 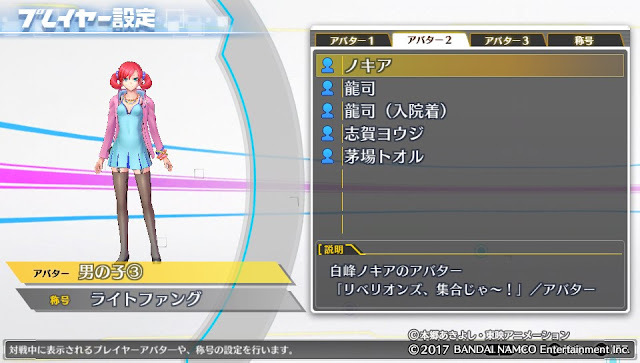 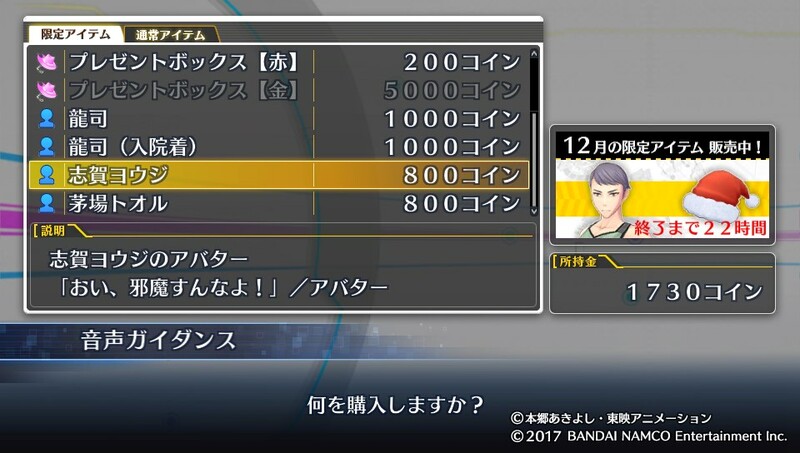 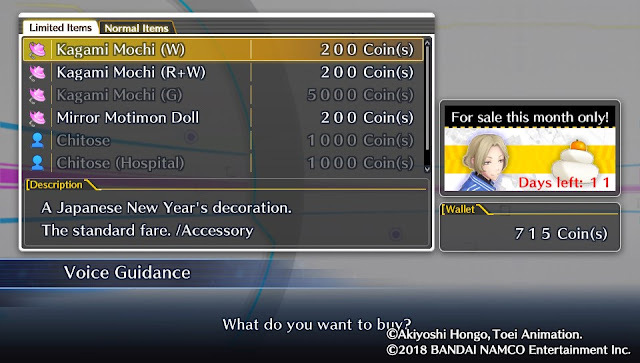 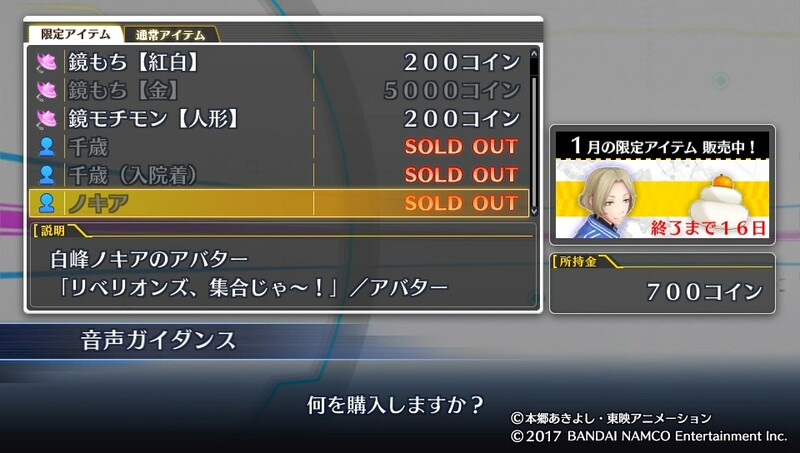 Players can convert their save data from Cyber Sleuth to Hacker's Memory to preserve their Field Guide and Digimedal collection progress. 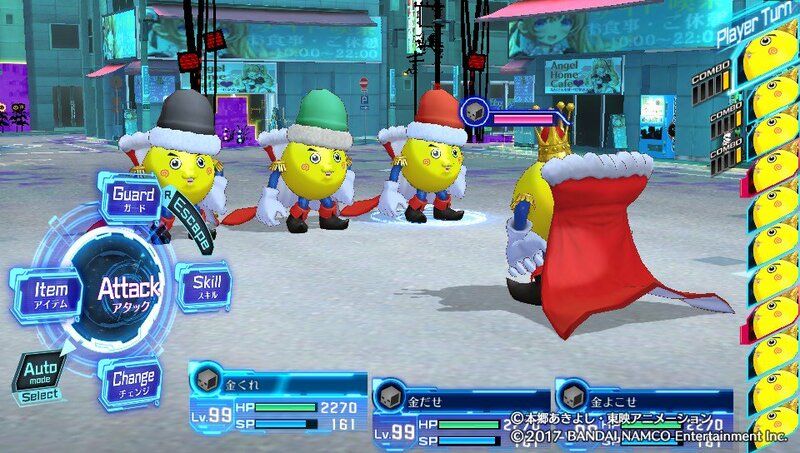 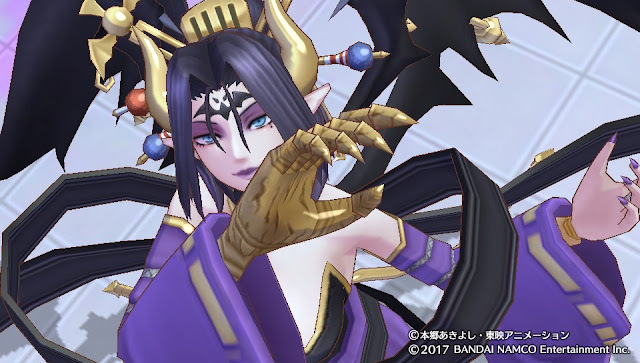 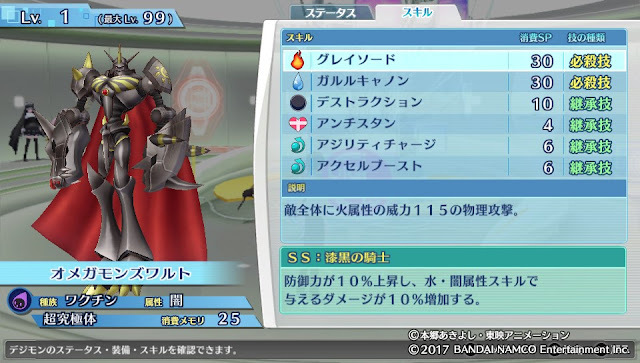 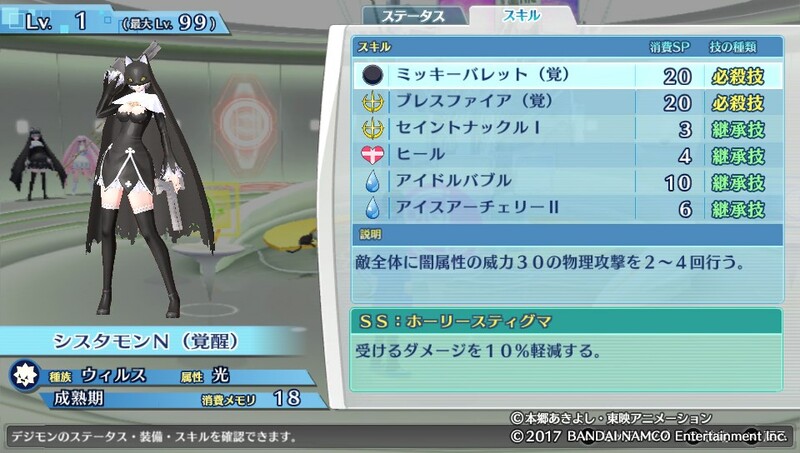 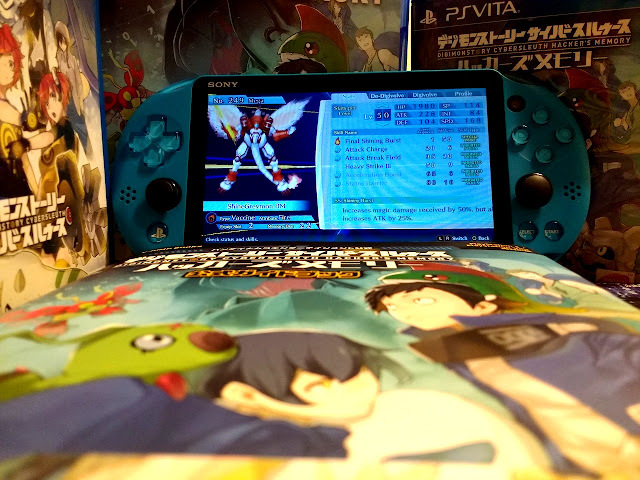 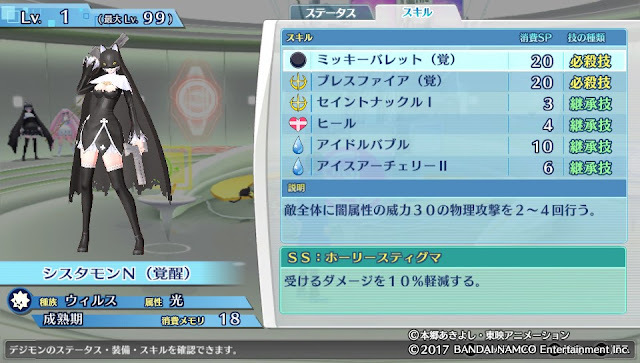 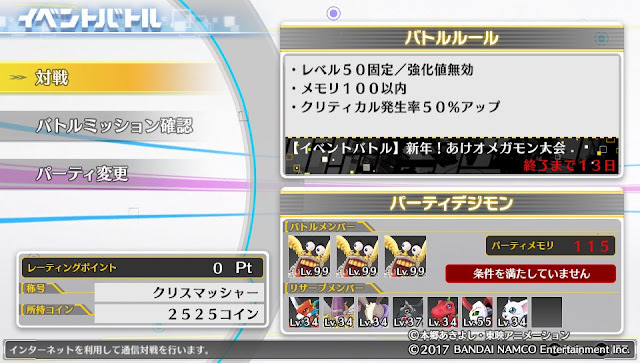 The Japanese version of the game includes Cyber Sleuth built into Hacker's Memory as one half of the full game, and players can resume their progress from their imported save using the new game mechanics and Digimon. 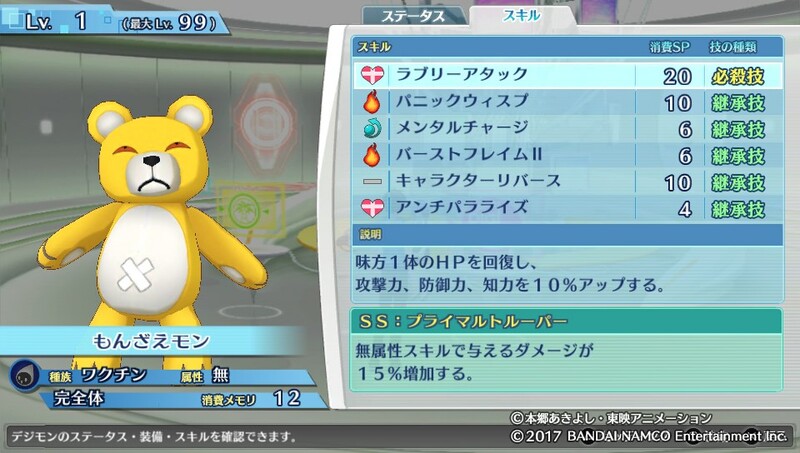 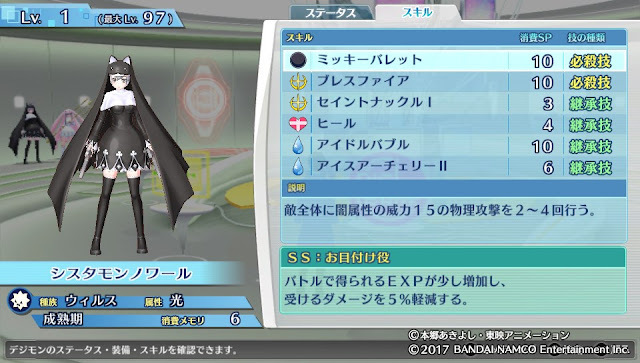 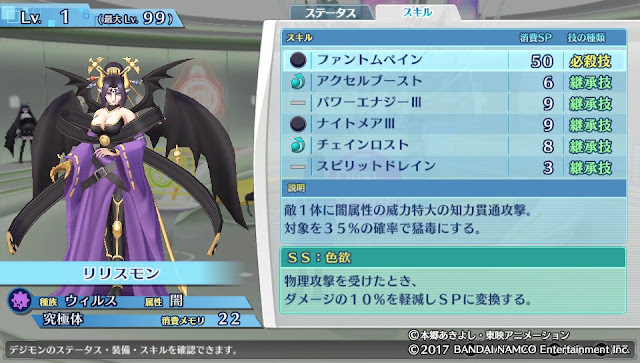 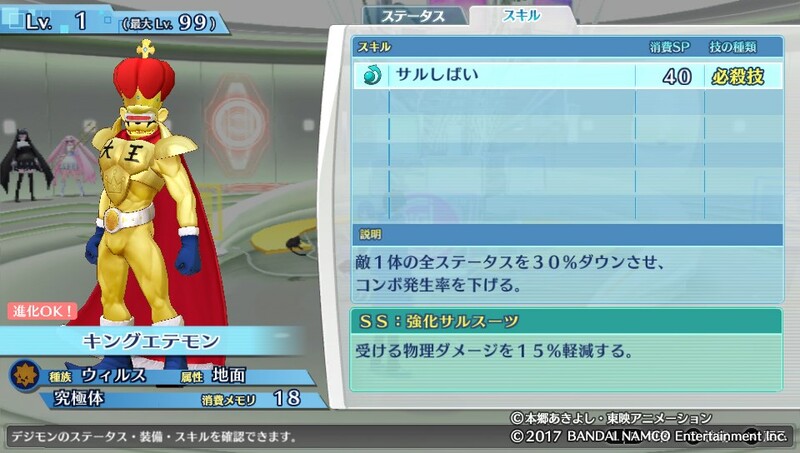 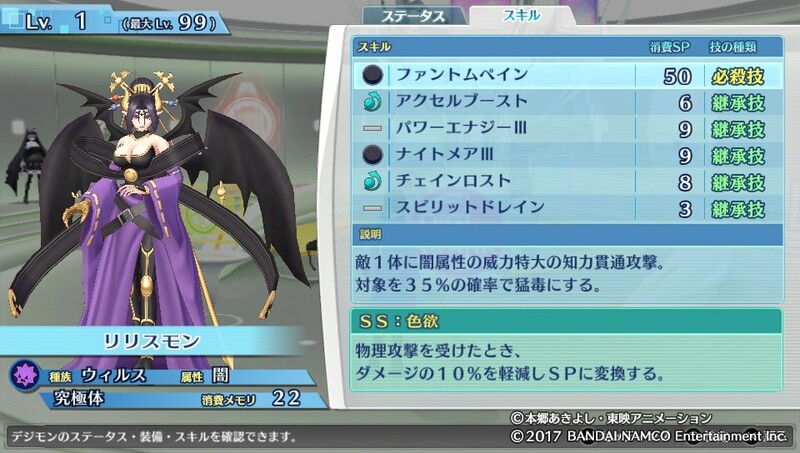 Moreover, finishing either game or having a finished file grants the player several consumable items, equipment, and accessories, and by clearing both main scenarios the player can transfer the Digimon they've raised between their respective Digibanks. The unified save system. The left column contains Hacker's Memory save files; the right contains Cyber Sleuth files, which are linked to HM saves on the same column. 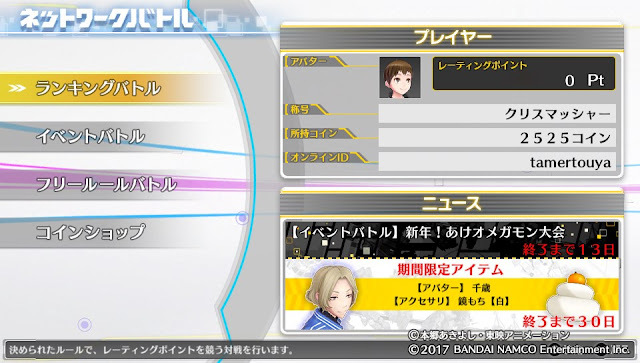 Even if they don't import a CS save, when the player starts a new game they are asked whether they would like to start CS or HM--but this may only be in the Japanese edition. 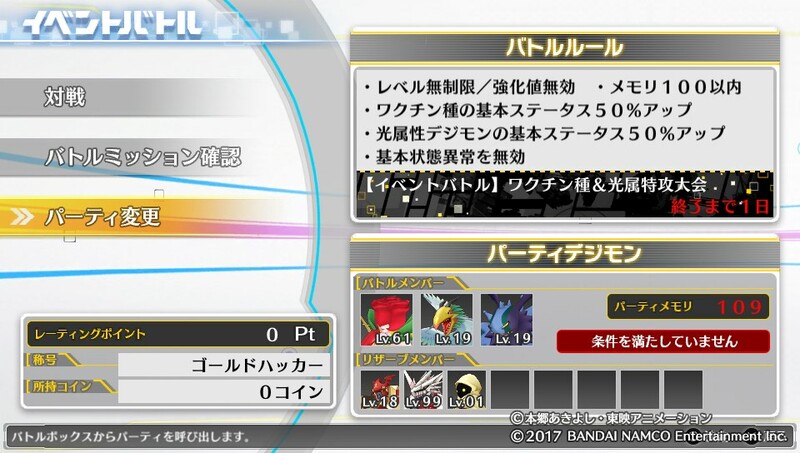 How many of these features will be implemented in international editions--if any--remains unknown. While the Japanese edition contains Cyber Sleuth on-disc as an essential part of its save structure, Bandai Namco EU has stated that Cyber Sleuth is not included in the European release of Hacker's Memory, suggesting that the international editions will lack these features. 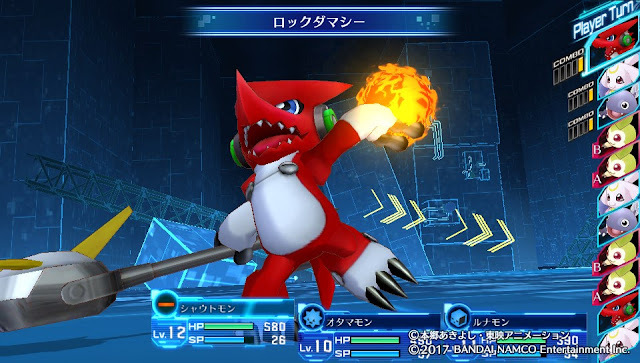 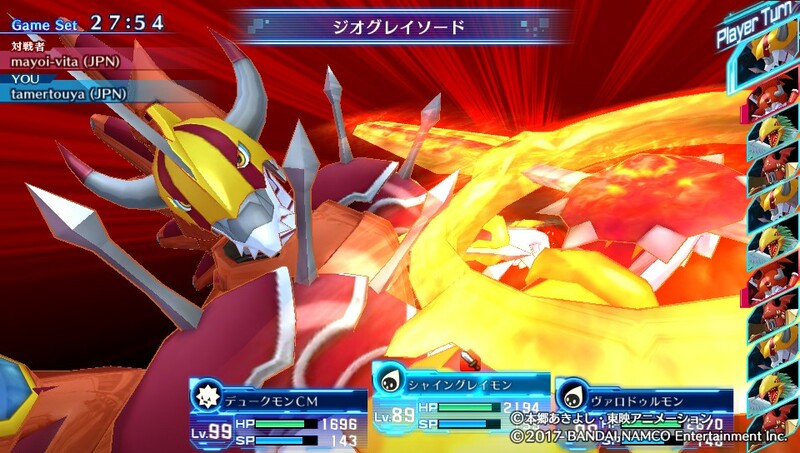 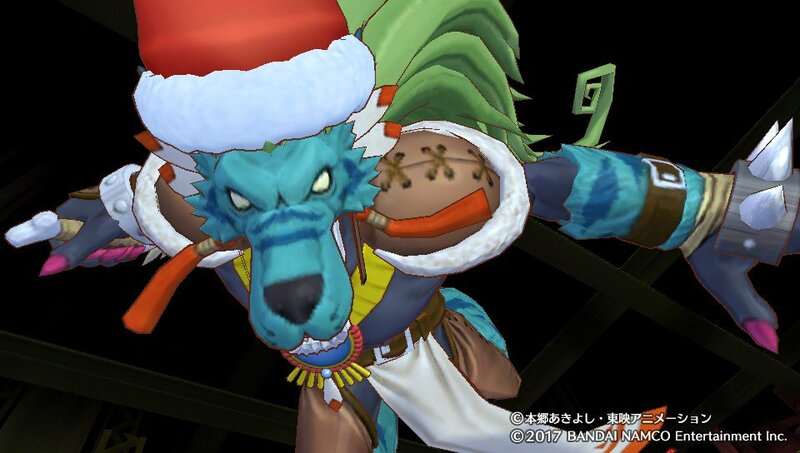 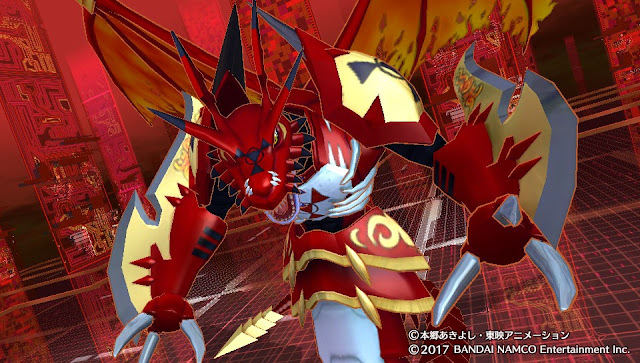 Some have suggested that the original game could be updated through DLC to receive the new Digimon and battle mechanic changes introduced in Hacker's Memory, but this would eliminate much of the incentive to buy the sequel at all.